Nathan Porter and Glen Chamberlain are two architects who now find themselves slightly more like businesspeople than when they first launched their practices. 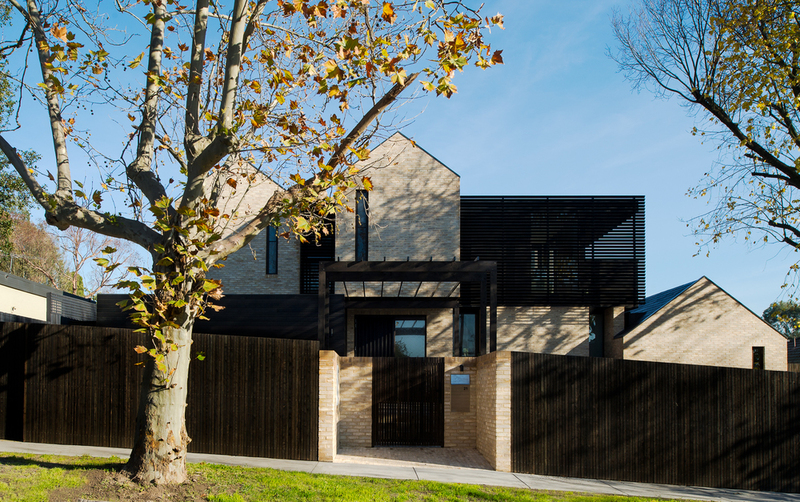 Porter Architects is a Ballarat-based practice that has been in operation for four years. 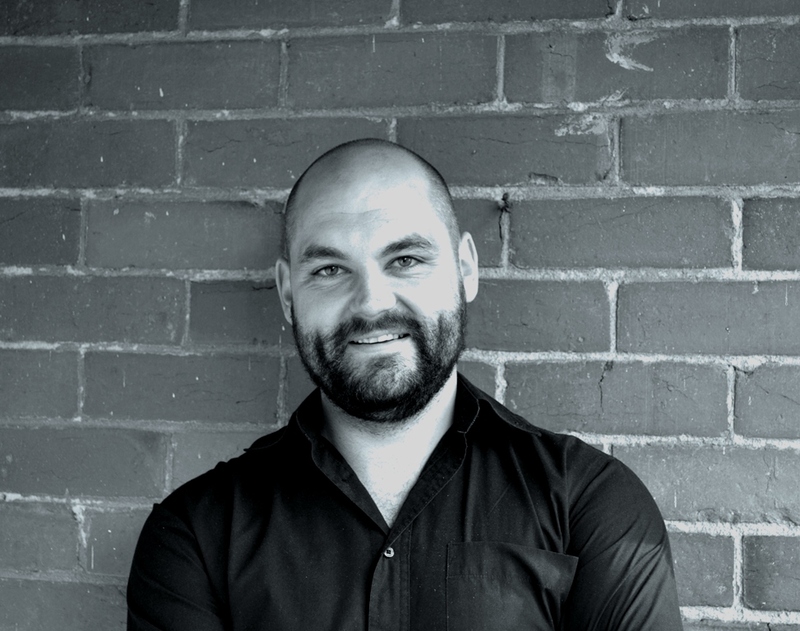 Porter spent four years working in Melbourne before receiving an enticing project offer that saw him relocate and go into business for himself. own practice. 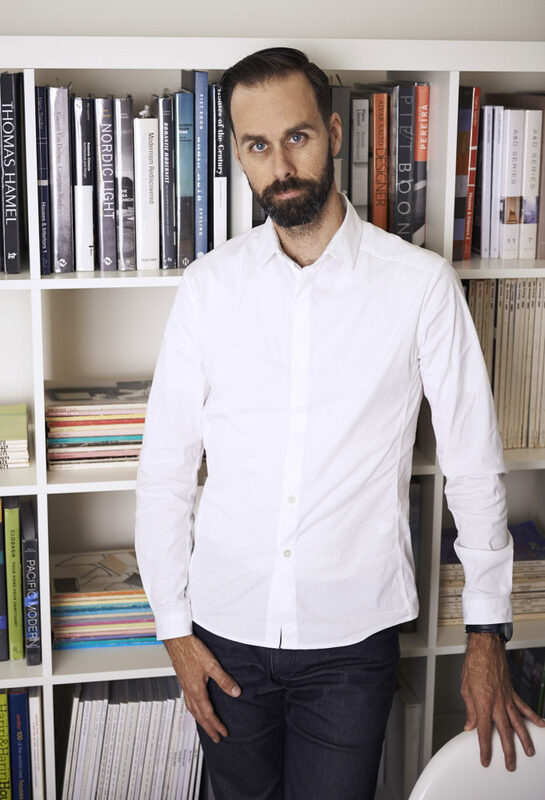 Now sole director of Chamberlain Architects in Melbourne, he’s seen a lot over 15 years of business partners, the global financial crisis (GFC) and more. AR: Did you have any business experience before you started? NP: Absolutely none. On a couple of occasions, my inexperience has been taken advantage of, but that’s just the nature of being new to business. Each time, each day, something happens and you have to learn from it. GC: No one is taught about business at uni. It’s almost a running joke. Through two partnership dissolutions, the GFC and a failed venture into China, I feel like I’ve earned my MBA. AR: How do you find clients? NP: Your business will almost find you. Our first project was in hospitality and I hadn’t really done any hospitality work at all. I put my heart and soul in and learned everything about that kind of project. Once I had a solid project finished, we then picked up a hotel in Bendigo, then in Geelong, another in Ballarat. GC: Word of mouth is key for us. If we have a multi-residential project that sells out really quickly, and our name is attached, the phone rings. The residential projects are all word of mouth too, or sometimes clients see something on Instagram. 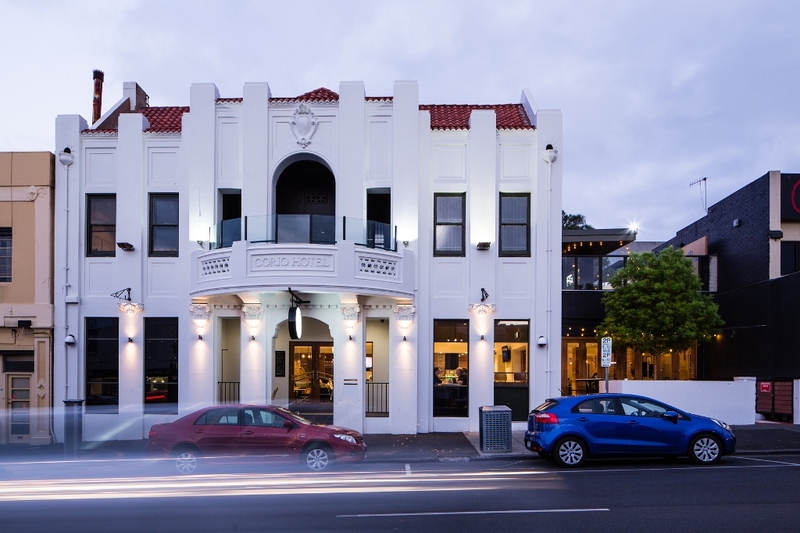 The Geelong Hotel by Porter Architects. Photo by Greg Elms. AR: How do you learn to be selective about what projects you choose? NP: Being more open-minded to try out new projects in the first two years of the business, I’ve realised what I’m good at, what I can do, what I’ve got good experience in. Then those projects tend to find you. We’ve had a go at other things like a medical practice and that didn’t work out. It’s not a project I’ll ever do again because it required a higher attention to detail than we were experienced in. GC: We took everything at the beginning just to build a portfolio. As you get a bit more experienced, you can pick and choose which clients you work for. The better clients you get, the better work you get; you get a better reputation for work so you get a better client. It’s an upward spiral. AR: How is money a factor? GC: Architecture is a strange profession. We spend other people’s money to create our own artistic visions. You’ve got to work really hard to build your reputation and get people to trust you to spend all that money with you. It’s great when someone believes in what you do – it’s the best project ever. And there’s always a necessity to secure that next project. You’ve got to keep the money coming in – it’s a never-ending pressure. AR: When do offices, websites, marketing and social media etc become a consideration? NP: In the beginning, I thought the first and foremost thing I needed was a solid website and an office. These are two fundamentals. Once we had a project finished, I spent money on professional photography for the project, which then became part of the face of the business. It’s proof of a delivered building. This week I’ve met some people who will manage all my social media for a monthly fee. With just one other employee, I don’t have the time to worry about it and the business is now in a position where we can afford to pay someone to take care of that. 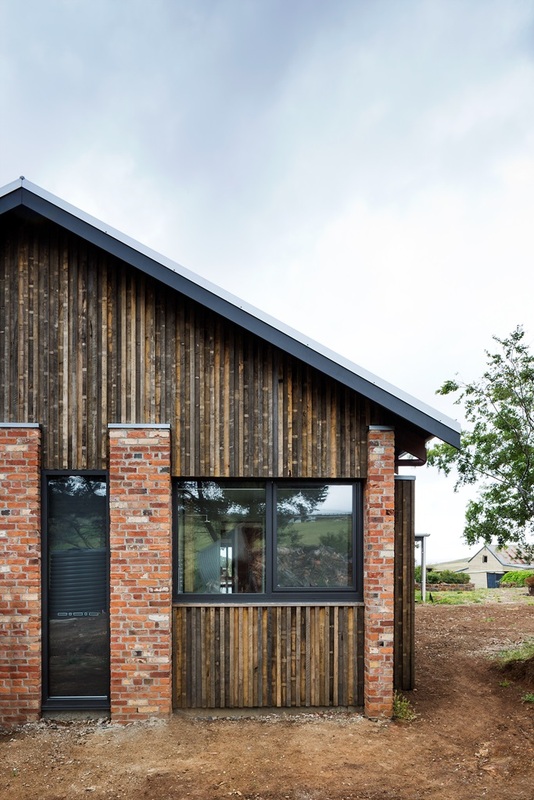 Pentland Hills House by Porter Architects. Photo by Greg Elms. AR: Does the business affect your private life? NP: You don’t switch off. The biggest challenge I had in the beginning was when I’d receive an email at 10pm and I felt obliged to read it. Then I battled through sleep at night. In the first year that was very difficult. It was hard to take a much higher level of responsibility, but you have to accept that and find ways to switch off. GC: It was easier to keep it separate when I had business partners because it was contained. When I had no business partners I thought it would be great and I’d have all this control, but it snuck up on me how consuming it was. It got out of control really quickly. I had to make some adjustments to how I talked about it with my wife. I spoke to her a lot more about it, which now means she knows a lot more about the business than she did before because you need to get it all out in the open. I also had to start to divest some of the things I was holding onto in the business. While I don’t have business partners now, I’ve got some loyal employees who I’ve made principals. I think you need to have people you can divest responsibilities to. 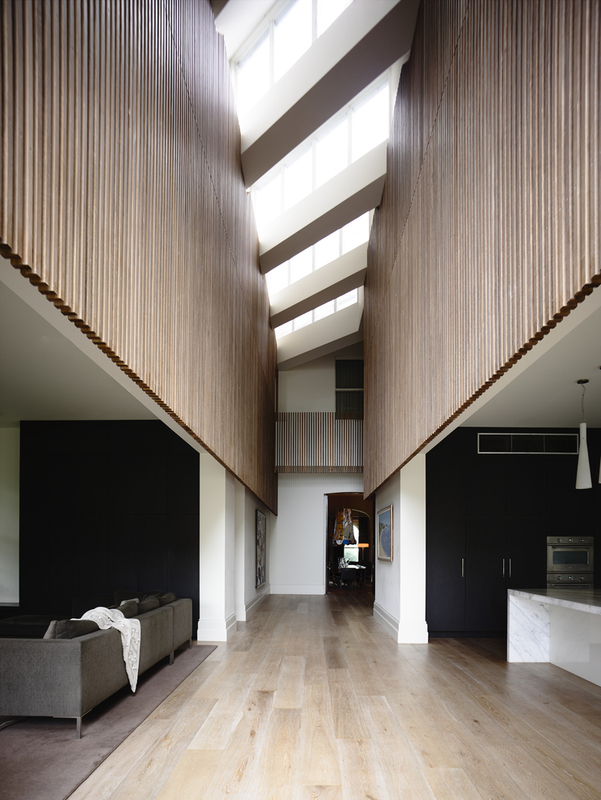 St Kilda house by Chamberlain Architects. Photo by Derek Swalwell. AR: Who do you turn to for advice? GC: The best thing we ever did was getting a business coach in 2008…just as the GFC hit. I still see him fortnightly. He’s been able to transfer a whole lot of skills that I wouldn’t have even known I’ve needed. Not just numbers and accounting; it’s culture and what you want to be and how you think about it. They’re like a counsellor. Being able to speak to someone about the business and its ramifications on your life is really helpful. Even when I had business partners, we never had that level of communication. You talk to someone when you need help, but I think getting someone in as soon as possible is really valuable. AR: What’s the biggest lesson you’ve learned? NP: Being told my services are no longer required on a job is fairly hard to take. It came down to inexperience and naivety. I let the client work me down on the fee because I saw it as a good opportunity, but I was struggling to deliver the project with such little income. I needed to work on other projects to [supplement] this main one and my services weren’t up to the client’s standards. That was a gut-wrenching experience. But, as a result, I completely restructured my fee structure and made sure I didn’t overcommit when I had a large project. GC: You have to specialise. I think in an architecture practice you need to build a reputation around being good at something, which is hard in a young firm trying to start out. In a past partnership, we just took every opportunity that came our way and it really frustrated me because I’d seen other people I’d worked for specialise and hone their skills until they became known for that niche. We were everything and yet nothing. When I was in charge on my own again I thought, I’ve seen these other companies do it so I’m going to work my niche and hone it and be good at it. AR: How do you feel about your practice now? NP: Looking back, it would have been nice to have a little more business sense. They teach you to be an architect when you’re at university, and they teach you to be an architect when you’re working under somebody. But if you’re smart enough, and your eyes are open, you can absorb how a business is run. It’s definitely challenging starting your own practice, but I find it a lot more rewarding than when I was an employee. I wouldn’t do things differently. GC: It will evolve as I bring people into the business. It might not even have my name on the door, but the business will have some longevity that it didn’t have before. I hope we continue to surf that wave of better and better clients, better projects, happy staff, more engagement; everyone loves it. Lead image: Garden House by Chamberlain Architects, photo by Veeral. This article originally appeared in AR147. Get your subscription to AR magazine online or by calling 1800 804 160.